Trump’s Refugee Ban Is Ending, But Comes With Stricter RequirementsNew vetting requirements reportedly go into effect Wednesday. GOP Senator Bob Corker Won’t Say If Trump Can Be Trusted With Nuclear CodesThe retiring Republican senator from Tennessee, unleashed. Widow of Soldier Killed in Niger: Trump’s Call Left Her ‘Very Upset and Hurt’Donald Trump quickly responded on Twitter. Forecasters Say the East Coast Is Going to Have Another Warm WinterGood news if you prefer windbreakers in January — not so much if you’re concerned about the fate of the planet. Spain Is Dealing With an Unprecedented Political CrisisMadrid prepares to bring Catalonia under its direct control, a move it has never undertaken in the history of its democracy. Were U.S. Tourists Also Sickened by the Mysterious Attacks in Cuba?One U.S. traveler told the Associated Press that he suffered similar symptoms on a 2014 trip to Havana. Report: Trump Offered $25,000 to Dad of Deceased Soldier, But It Never CameThe White House, however, says the check has been mailed. Trump Denies Telling Wife of Slain Soldier ‘He Knew What He Signed Up For’The president fired back on Twitter Wednesday morning over Representative Frederica Wilson’s claim. U.S.-Backed Forces Retake Raqqa From ISISThe Syrian city the terror group considered the capital of their so-called caliphate has been liberated. Iraqi Forces Seize Kurdish-Held City of KirkukTensions had been high since the Kurds voted for independence from Iraq last month. Chelsea Bomber Ahmed Rahimi Found GuiltyHe faces a mandatory life sentence. Ex-Hurricane Ophelia Still Wallops IrelandThe most powerful storm to ever form this far northeast in the Atlantic is now a post-tropical storm that’s packing powerful wind gusts. 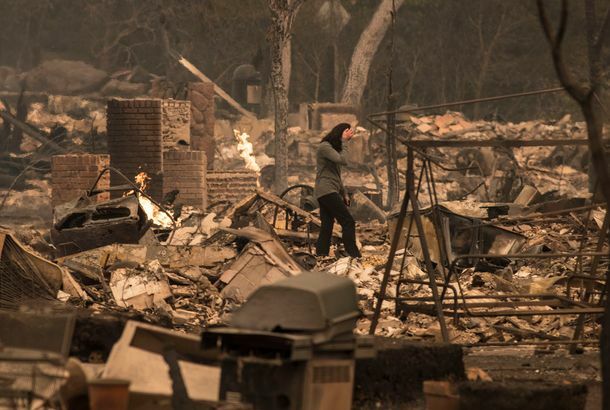 California Wildfire Death Toll Rises to 31The Bay Area has recorded some of the worst air-quality levels in history, matching ranges normally seen in Beijing. State Department Withdraws From U.N. Cultural Group Over ‘Anti-Israel’ BiasBut this is not the first time America has left UNESCO, which it helped establish after World War II. California Fires Burn Thousands of Acres, Kill at Least 17Around 20,000 have been forced to flee their homes. What It’s Like to Escape From North KoreaFive defectors on growing up under the Kim regime, and what the U.S. gets wrong about Pyongyang. 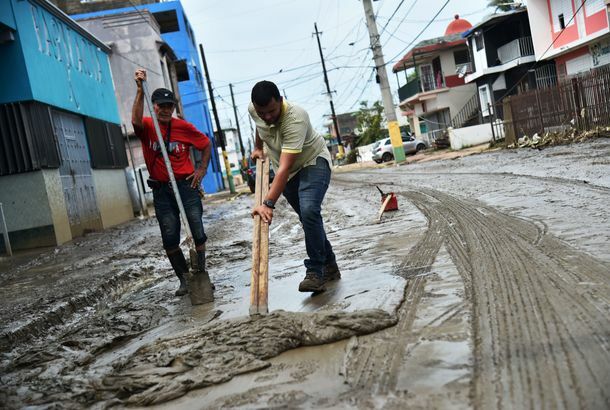 How Organizations Are Fighting to Bring Relief to Puerto RicoDamaged roads, spotty phone service, supply shortages, and no internet are just some of the challenges. Is the Nobel Committee Trying to Send Trump a Message?A nuclear-disarmament group, the International Campaign to Abolish Nuclear Weapons, is the surprise Peace Prize recipient this year. What We Know About Las Vegas Gunman Stephen PaddockHe planned “extensively,” and may have been targeting different music festivals in Las Vegas and other cities, including Lollapalooza in Chicago. 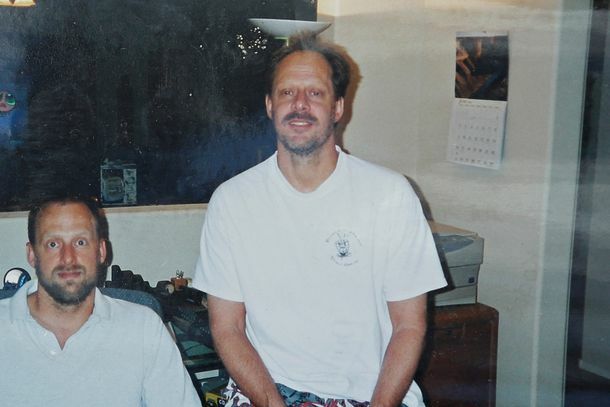 Here Are Photos of the Las Vegas Shooter’s Hotel Room and Weapons CacheA Fox affiliate in Boston obtained the exclusive images that appear to show Stephen Paddock’s firearms and ammo. 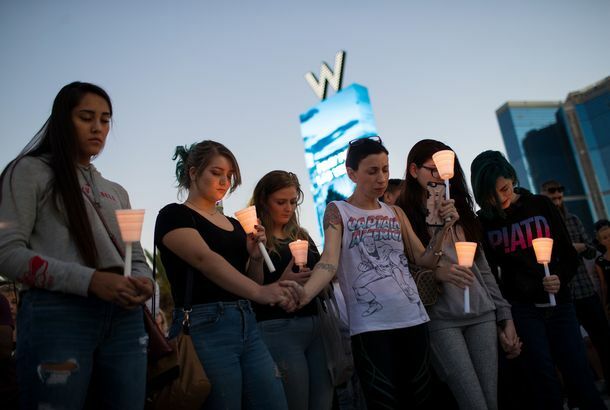 Las Vegas Shooter Had 23 Firearms, Some Fitted With Device to Speed Up FireThe investigation uncovered Stephen Paddock’s arsenal of weapons and explosives as the city mourned the biggest mass shooting in American history. 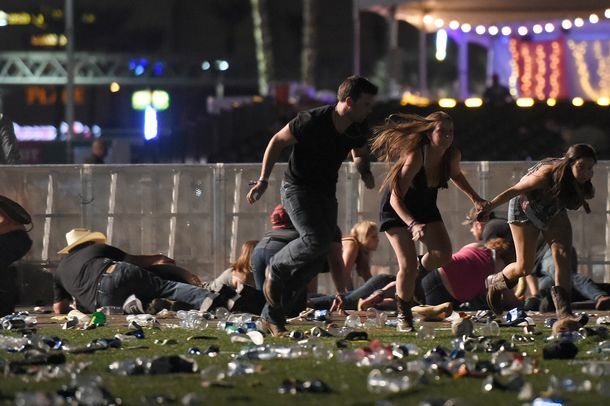 At Least 59 Dead, More Than 500 Hurt in Las Vegas Music Festival ShootingA gunman fired on concertgoers from a high floor of the Mandalay Bay casino, in what is now the deadliest mass shooting in U.S. history. How Puerto Rico Struggled to Communicate After Hurricane MariaA different kind of powerlessness. At JFK, Awaiting One of the Few Flights From Puerto Rico to New York“Desastre,” one family said, of the island after Hurricane Maria. Court Overturns Conviction of Former N.Y. Senate Majority Leader Dean SkelosThe appeals court cited a Supreme Court decision that had also recently led judges to vacate the conviction of former Assembly Speaker Sheldon Silver. 7.1 Magnitude Earthquake Kills More Than 200 in MexicoAt least 44 buildings were destroyed in Mexico City, and rescuers are working frantically to free survivors. 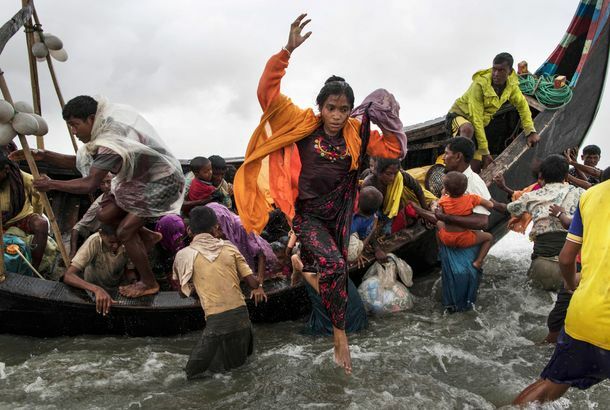 Nobel Peace Prize Winner Still Ignoring Mass Atrocity in Country She LeadsMyanmar’s Aung San Suu Kyi seems to be unwilling to discuss her country’s military assault against the Rohingya. Bus Crash in Queens Kills at Least 3A collision in a busy Flushing intersection between an MTA bus and charter bus also injured at least 16, some critically. What the Hell Is Happening in Myanmar?The military is conducting a genocidal campaign against an ethnic minority, all under the watch of a Nobel Peace Prize laureate. 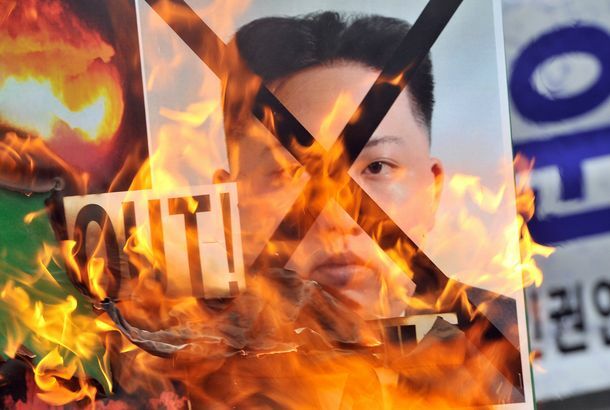 North Korea Reportedly Fires Another Missile Over JapanIt comes soon after the United Nations imposed tougher sanctions on North Korea following its nuclear test on September 3. NYPD Releases First Body-Cam Footage From Deadly EncounterIn response to the September 6 fatal shooting of a 31-year-old Bronx man. Vandals Went to Work on the Christopher Columbus Statue in Central ParkRed paint on his hands, and graffiti scrawled on the base of the statue. Scenes From Irma’s Path of Destruction, From the Caribbean to FloridaStreets are still under water in parts of Florida, and millions are without power. A Weakened Irma Still Causes Major Flooding in Southeastern U.S.The U.S. death toll is up to 11, and 6.7 million people have lost power. Hurricane Irma Takes Aim at FloridaIts hurricane-force winds could span the entire state coast-to-coast. Category 5 Irma Bears Down on Puerto RicoThe storm has killed at least two in the Caribbean so far, and “decimated” the housing stock in Barbuda. What Can We Expect From Hurricane Irma? 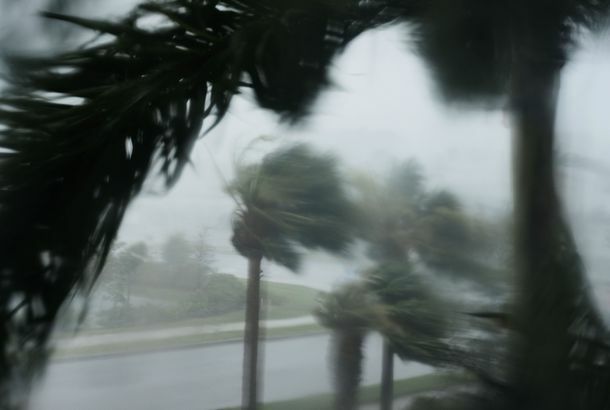 A Q&A With a WeathermanThe incredibly powerful storm could pummel Florida and the Carolinas, but its path is still uncertain. 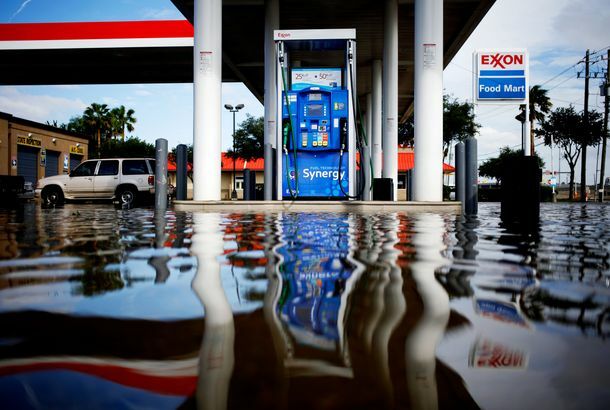 Will Harvey Make Houston’s Boom Go Bust?The storm dealt a severe blow to the backbone of the U.S. oil refining and petrochemical industries, but Houston’s economy may be able to bounce back. 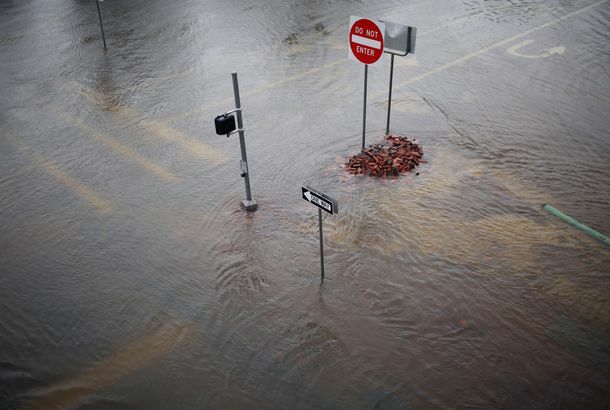 Harvey’s Rains and Flooding Now Threaten East Texas and Southwestern LouisianaThe storm will finally begin letting up on the Houston area, but rescue efforts are still underway and tens of thousands are living in shelters. 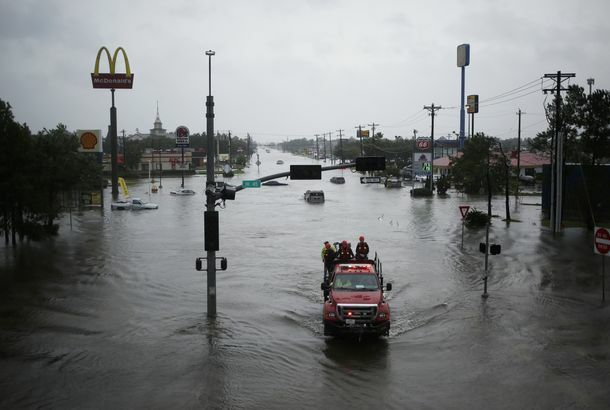 ‘It Took Two Boat Rides’: Texans on Surviving the StormLocal stories from an unprecedented natural disaster in America’s fourth-largest city. President Trump in Texas As Houston Still Grapples With Devastating FloodsHistoric rainfall continues to wreak havoc in the Houston area as the death toll rises to 12.